What happens when an imaginative mind meets a good idea? 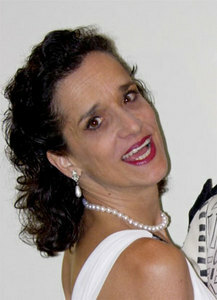 For Ruth Kaiser, the answer is smiles. Or to be more exact, Smileys. Two eyes, a nose and smile. You know, Smileys. Turns out they’re everywhere. And so Ruth started taking pictures of Smileys, and sharing Smileys, and…well, it wasn’t long before she became known as The Smiley Lady. And after she’d collected a whole bunch of Smileys, she thought she had a swell idea for a book. 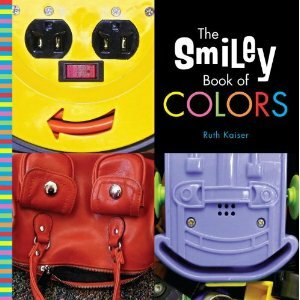 And Random House agreed and published her book, The Smiley Book of Colors. Now Ruth’s on tour with her book, sharing her Smileys across the blog world, and giving you a chance to win her book. You can comment here to win a copy of this super adorable picture book. And you can snap a picture of a Smiley and upload it to Spontaneous Smiley, using WOW in your Smiley title for another opportunity to win. If you upload your Smiley photo, a dollar will be donated to Operation Smile, a nonprofit organization that helps children with facial deformities get the surgery they need. And that’s really something to smile about! Note: If this were my quote I might have said eighth or ninth. L.O.L. The surgeon who only operates on easily removable tumors has a great track record but will never be the rock star. Are you living your life safely to insure the best track record or are you challenging yourself to be a rock star in every endeavor? Letting ourselves be ruled by fear of embarrassment is folly. Are you giving up too quickly or behaving too cautiously in some vain attempt to present a glowing track record? The rock star is out there in spandex and false eyelashes. Nothing timid about their attempt to be the best! Their in-your-face- I-will-not-go-unnoticed assault on life holds a valuable lesson for all of us. You won’t be seeing me in spandex (Sheesh, I have 3 kids who’d be mortified!). But don’t be surprised if you see me walking the walk and talking the talk to get my project in front of the eyes that will help further my goals. Will my heart be pounding to beat the band? You bet. Is that a reason to stop? No way! Here’s a truth it took me years to realize: No one, but me, is tracking my failures. Honestly no one else is paying attention. They are busy starring in the movie that is their life just as you are busy starring in your own. We are merely in supporting roles or even just one of the many “extras” in their movie. Our missteps are hardly noticed by anyone but ourselves. What does get noticed and applauded are our confident attempts! Being the rock star in everything you do takes determination and patience. It takes being focused on your goal. The rock star never gets there by being cautious. To be the rock star you must leap off the cliff and go for your dream full tilt. Success doesn’t come because of luck or without a ton of work. Optimism has taught me to give it a try. Guess what? Hearing, “No” isn’t going to kill you. I also know that you’ll never hear, “Yes” unless you put yourself out there! Embrace this idea and feel the freedom of your ego not getting in the way of your actions. Opportunity is missed by most people because it comes dressed in overalls & looks like work. See? I told you she was unstoppably optimistic. She’s also absolutely right! If you’re that writer that never puts herself (or himself) out there, read wha t Ruth Kaiser has to say again. Heck, read The Smiley Book of Colors, while you’re at it. Then give it to your kiddo or your grandkids. I’m positive they’ll love it! What a fantastic idea for a book and a wonderful way to approach life! Oh, great advice. I’m a dinosaur, not a rock star. I’ll have to work on a makeover. Because I think she’s absolutely right. Love that comment that no one but ourselves is monitoring our failures. And yep. I have grand that would love that smiley book. Oops! Well, good luck to you, too, Doraine! I think she’s right, too, Sally! And Madeline, I hope you win the book. I love the idea of this book, and I love your blog! It makes me laugh, & I think I’ve eaten more than my share of Smileys myself! This book looks like so much fun. Another smile in my life is always welcome.